Appearance: straw colour with brilliant golden glints. Aroma: bouquet of ripe yellow fruits and pineapple. Mild scents of vanilla and acacia honey. Taste: fresh and sapid with mineral notes and a pleasantly fruity after-aroma. Lingering taste and nose aromas. 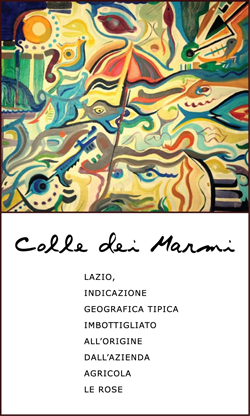 Colle dei Marmi is made from Fiano grapes, a vine not very common in the Lazio region but existing since ancient times in the Castelli Romani area. 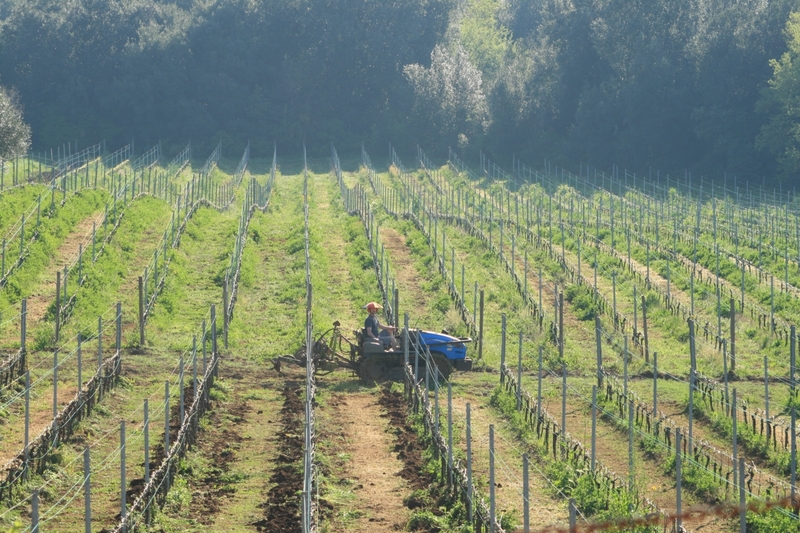 Obtained by a careful selection of the grapevines, the single grapes undergo a gentle destemming (stalk removal) and subsequent soft pressing. The must is then fermented at controlled temperature for about fifteen days. Maturation and ageing on its skins takes place partly in cement vats and partly in ten hectolitres wooden casks for a period ranging from six to eight months.